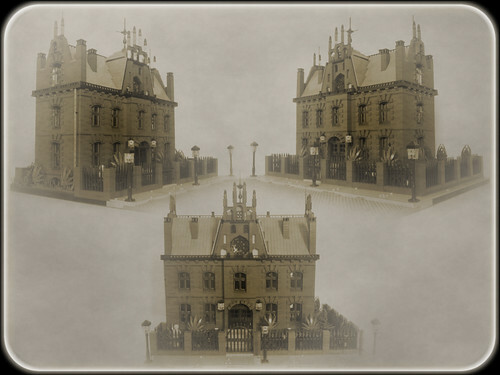 This is a really nice building MOC, but what really makes it is the presentation. Vintage photograph simulation is difficult to master, usually overdone or just misses the mark. But this is very well done indeed. Just enough sepia and desaturation to age, just enough blur and haze to age, just enough texture to sell it. All that and a beautiful building as well, I like it. Check out all the pictures of the larger diorama after the jump.